As the Crimean citizens voted to secede from Ukraine and to join the Russian Federation, the territorial tapestry of Eastern Europe has perhaps begun to unravel. A number of countries neighboring Russia worry about a possible military incursion or even annexation of (some of) their territory on the grounds of “protecting the local ethnic Russian population”. This is particularly the case in the Baltic countries. 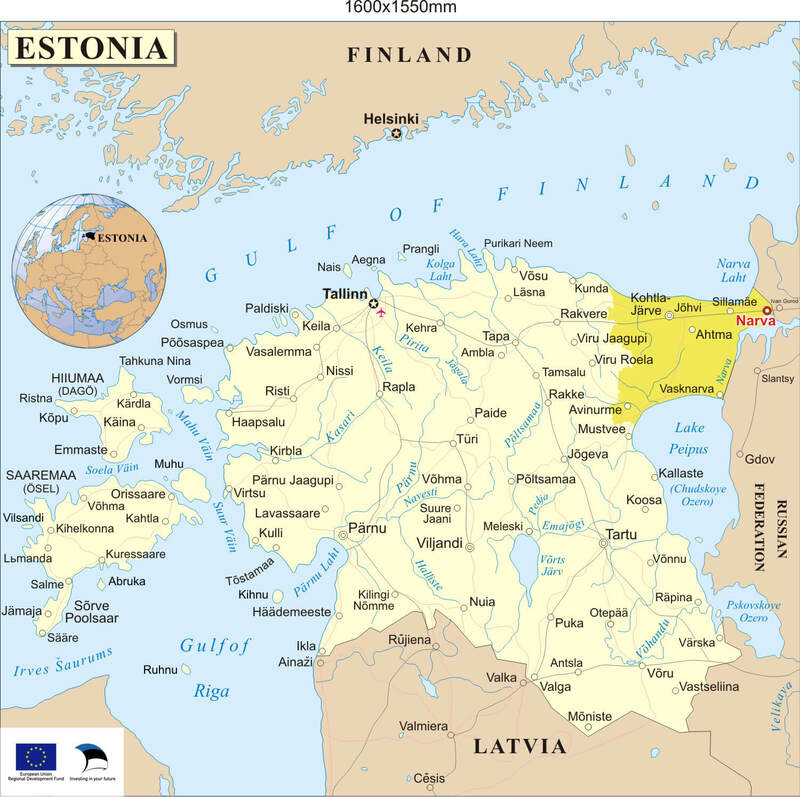 Estonia, which is about a quarter Russian by ethnicity, is “shoring up its ties with NATO and the United States” in the wake of Moscow’s talk about “concern for its Russian population”. 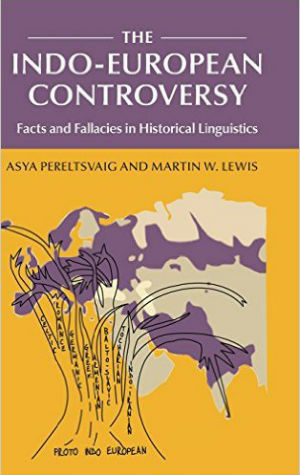 Latvia has a particularly significant “Russian” population (the Ethnologue lists a figure of nearly 40% native Russian speakers, but the Wikipedia cites the figure of 26.9% ethnic Russians); the 2012 Language Referendum in Latvia showed decisive resistance to the idea of elevating Russian to the status of a second official language. As reported in The Telegraph, Latvia too “fears that after Crimea, they may be next to receive Russian ‘protection’”. Lithuania has the smallest Russian-speaking contingent of the Baltic countries (according to the Ethnologue, only about 10% of the country’s population speak Russian; the latest census figure for ethnic Russians is less than 6%). Nonetheless, Lithuanian President Dalia Grybauskaite said that “Russia’s actions amounted to a prelude to a ‘new Cold War’” and called for the EU to make a “strong response” in relation to Russian President Vladimir Putin. Even Belarus, whose long-time pro-Putin president Alexander Lukashenko’s authoritarian style of government has earned the country the nickname “Europe’s last dictatorship”, has recently initiated negotiations with NATO. 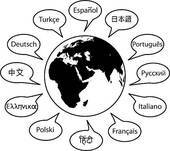 As discussed in my earlier post, the majority of the people in Belarus use Russian as their dominant everyday language, although most of them are ethnic Belarusians who claim Belarusian to be their mother tongue. Unlike Crimea, where Russians constitute the majority, however slim, throughout the region, in the Baltic countries the Russian-speaking population is highly concentrated in major urban areas: the Estonian capital Tallinn; Riga, Daugavpils, and Rezekne in Latvia; and Vilnius and Klaipeda in Lithuania. 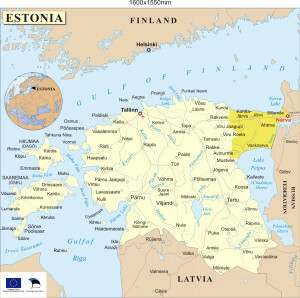 The only exceptions are the town of Visaginas in northeastern Lithuania on the Russian border, where Russians constitute 52% of the 26,800-strong population, and the industrial urban centers in the Ida‑Viru County in northeastern Estonia, also on the border with Russia (see map), where 71.3% of population are Russians and fewer than one in five are ethnic Estonians. 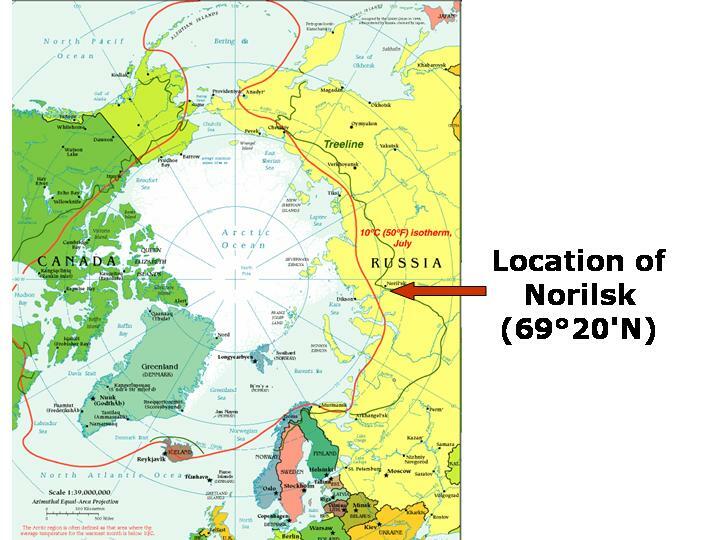 Given this territorial distribution, a territorial grab on the part of Russia seems doubtful. While Russia’s western neighbors are concerned for their territorial integrity, several ethnic regions within the Russian Federation have redoubled their efforts to gain independence from it. 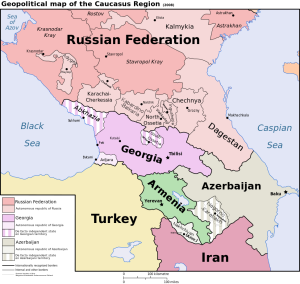 For example, AmericaBlog’s John Aravosis inquired on March 17, 2014, “when is Putin’s secession-referendum for Chechnya, Dagestan and Karelia?”— the three regions most eager to leave the Russian Federation. Most residents of Chechnya and Dagestan are not ethnic Russians, and the independence movements in all three of these internal Russian Republics—all of which joined Russia under less than peaceful circumstances—has been simmering for decades. In Chechnya and Dagestan, the secession movement has been particularly violent, yet a number of other groups in the North Caucasus region have also been seeking recognition, autonomy, and ultimately independence. The intentionally peaceful Circassian movement gained momentum in the run-up to the Sochi Olympics; more recently, Circassian activists have been supportive of the anti-government protesters in Ukraine and the anti-annexation activists in Crimea. 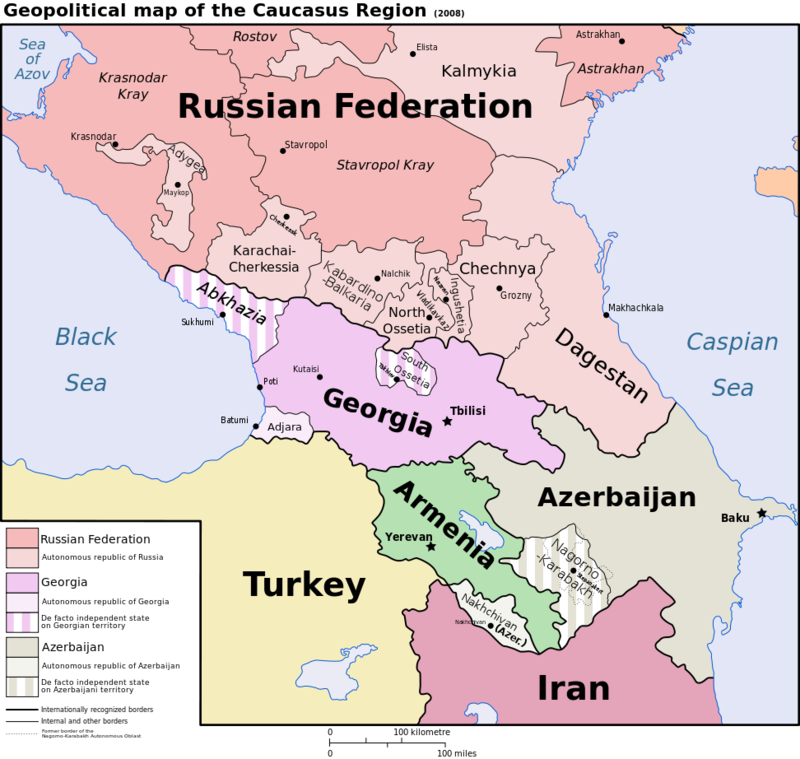 Two other regions with major movements for independence from Russia are Kabardino-Balkaria and Karachay-Cherkessia, both classic examples of Stalin’s divide-and-rule policy that placed the two Turkic groups, Balkar and Karachay, in “national” republics along with Northwest Caucasian ethnicities. Kalmykia is yet another independence-seeking internal republic within Russia, with roughly 300,000 people. 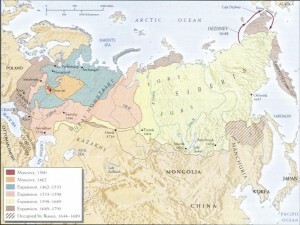 Although more prosperous than other ethnic territories in the North Caucasus, thanks mostly to oil and agriculture, Kalmykia—Europe’s only Buddhist region—has kept its sense of “otherness” instilled in its people by the forced Russification, collectivization, and deportation policies of the Soviet times. 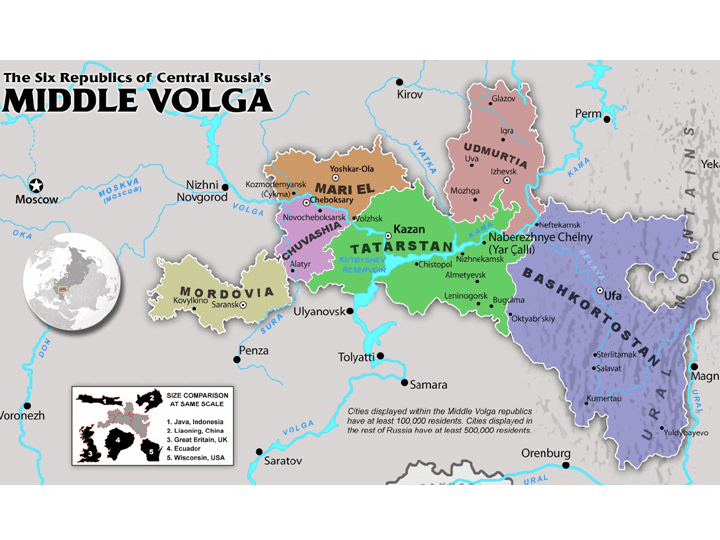 Perhaps the strongest case for secession from Russia comes from Tatarstan, a republic in the Middle Volga region that held an independence referendum 22 years ago, when nearly two thirds of the population voted for sovereignty. 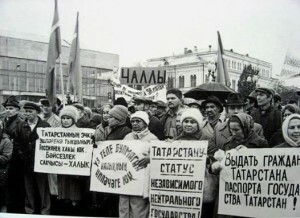 Based on that referendum, a new Constitution of Republic of Tatarstan proclaimed its independence in November 1992. Although international observers acknowledged that the referendum was free, legitimate, and peaceful, Moscow did not accept its results and forced the republic to abandon its claims. 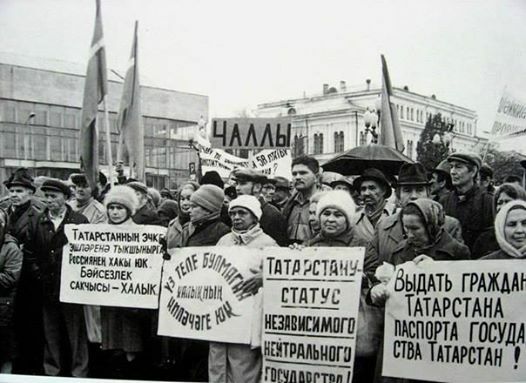 In the wake of the Crimean referendum, Tatarstan’s independence activists now demand that Russia recognizes the 1992 referendum and recognize the republic’s sovereign status. But Tatarstan’s independence claims raise certain problems. 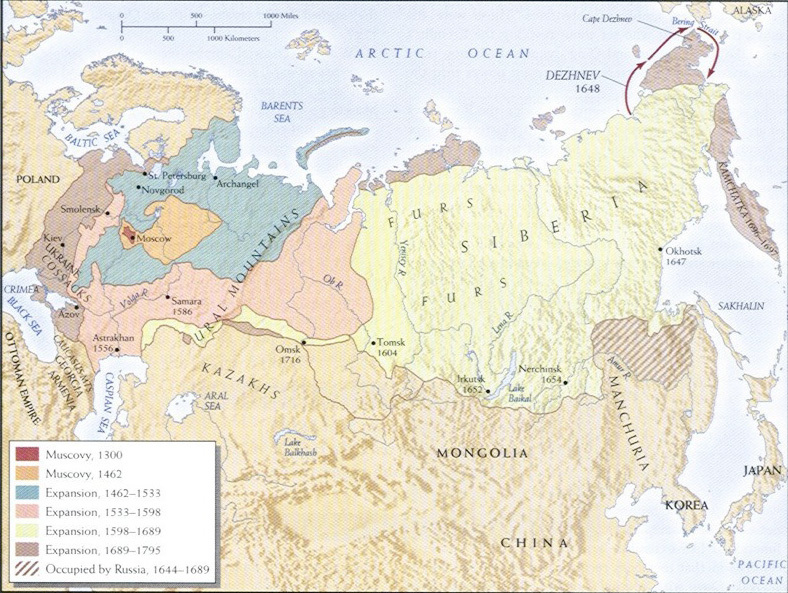 Historically, the siege and seizure of Kazan, now the capital of Tatarstan, in 1552 under Ivan IV (“the Terrible”) led to the incorporation of the previously powerful Khanate of Kazan into Russia, the first major addition to the burgeoning empire, which subsequently continued to expand eastward until the Russians reached—and even crossed—the Pacific Ocean. Thus, Tatarstan is not merely a territory that Russia holds but rather a key to its territorial integrity, at least in Russia’s imperial worldview. Another problem is demographic: Tatars, who speak a Turkic language and are mostly Muslim, now form a majority of the republic’s population, but just barely. According to the 2010 census, Tatars constitute 53.2% of the population, with ethnic Russians accounting for 39.7%. However, as the Tatars have a higher birthrate than the Russians, the gap is expected to grow. 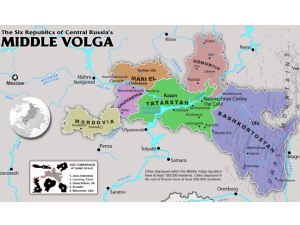 While the secession of Tatarstan is itself a doubtful proposition, some activists envisage a larger sovereign state that would include Tatarstan and several of its neighbors, called Idel-Ural. It would also include five other internal republics of the Russian Federation: Udmurtia, Mordovia, Chuvashia, Bashkortostan, and Mari-El. 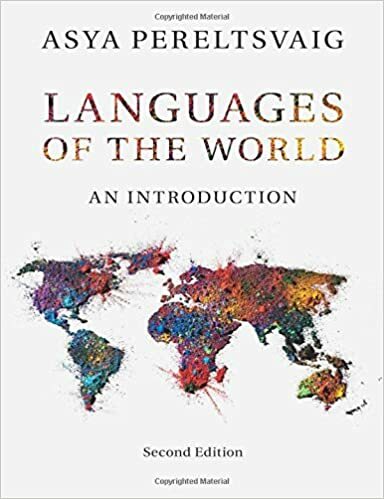 This is a highly heterogeneous area, its religions including Islam, Orthodoxy, and animism, and its native languages coming from two distinct language families: Finno-Ugric and Turkic. Not surprisingly, its political inclinations are also quite diverse. Udmurtia’s national heroes, the runners-up of the 2012 Eurovision contest Buranovskie Babushki, an ethno-pop band of eight elderly ladies who sing mostly in Udmurt, have recently joined over a hundred of Russia’s musicians, actors, directors, and artists in signing a public letter in support of President Putin’s policies in Crimea. In contrast, Tatarstan has aligned itself with the Crimean Tatars, who adopted a pro-Ukrainian position and boycotted the Crimean referendum. In early March 2014, Tatarstan President Rustam Minnikhanov signed a co-operation agreement between his republic and the Crimean authorities that would entail significant collaboration between government institutions and sizeable financial aid to Crimea from Tatarstan businesses (whether the agreement will be kept now that the status of Crimea has changed remains to be seen). Thus, the six regions of the hypothetical Idel-Ural polity share little in common besides their non-Russian nationalities, making the concept of a combined state more of a dream than an actionable scheme. The same thinking—“if Crimea can join, why can’t we leave?”—is likely to emerge in other parts of the Russian Federation. In an op-ed piece in Foreign Policy, Frank Jacobs lists ten candidates for secession that includes Kaliningrad, Komi Republic, and Birobidzhan. An application for a secession referendum has been recently made by a group of young activists from Saint Petersburg (whether only the city or the surrounding Leningrad Oblast would secede is not clear). 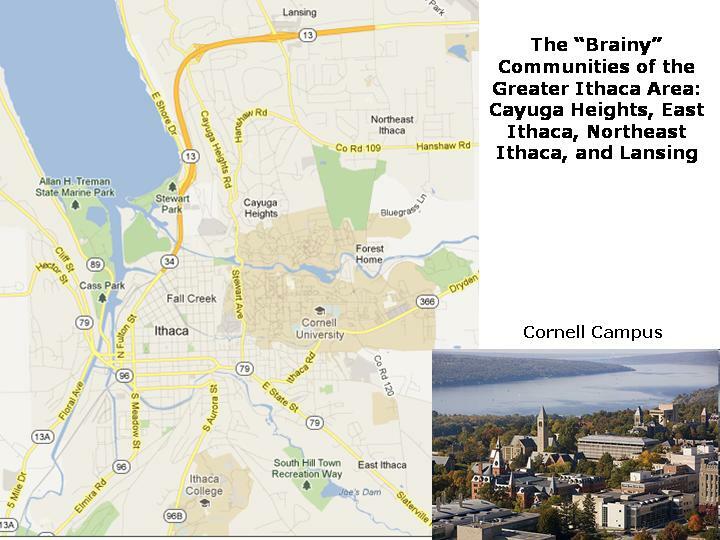 The legal process would involve waiting for 30 days, then gaining legislative approval and collecting 40 thousand signatures. According to the Radio Svoboda report, the activists do not expect the referendum to happen; their main goal is rather to show that in today’s Russia referendums are de facto impossible and that as a result the Crimean referendum had no legal basis. The goal, in other words, is to highlight the double standards of the Russian government. Just as unlikely as Saint Petersburg’s secession from Russia is a proposal in the opposite direction that just emerged in… the Gaza Strip. According to some Russian-language Palestinian sources, activists in the 50,000-strong Russian community in Gaza—mostly women who have married Palestinian Arabs—are discussing the possibility of joining the Russian Federation. A more realistic proposal to join the Russian Federation comes from Transnistria, a narrow strip of land between the River Dniester in the west and the eastern Moldovan border with Ukraine in the east. The possibility of Transnistria joining Russia and its implications will be considered in detail in my following post.